Your Home Sold at Your Price Guaranteed, or I'll Buy It! To enrich the lives of our clients by providing knowledgeable and truthful consultation so they are empowered to make the best life decisions for themselves and their families. Truthful : Always be truthful and do what’s best for our valued clients. 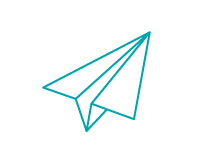 Effective : Apply highest standards and go to all lengths to ensure we provide the highest degree of service, deliver the unexpected and go above and beyond for our valued clients. Productive : Make evert day a win, as we continually meet the goals of our clients and our team. Purposeful : Always provide recognizable value as we distinguish ourselves as authentic leaders in the marketplace. Profitable : Acknowledge that profitability is a key component in our establishment which will enable us to sustain and push forward to future growth that will benefit our valued clients as well as our team. "We first were introduced to Ameil Gill when we got a flyer in the mail. Ameil is a proven top rated professional realtor with an amazing track record in our area. Ameil has actually been ranked to 1% in our area over 15 years and has sold 100's of homes in our neighbourhood. Ameil is known to be the agent who has the buyers and Guarantees your home sold or he buys it. Ameil's record shows he sells his homes for higher than the other agents in and sells his homes faster. When we met Ameil, it was a great experience. Ameil took his time to educate us on the current market, he was patient and very in tune with our needs and what we wanted to achieve through the process. Ameil showed us his database of over 5000 active buyers and displayed how he can guarantee superior results in less time. Needless to say we knew right away he was the agent for us. Once we signed up with Ameil to sell our home the whole process was seamless. Ameil and his whole team helped us every step of the way and we're always available. As sellers we really can say the team experience was amazing. Ameil and his whole team where all in sync and all worked together to sell our home for 100% of our asking price within 24 hours! This far exceeded our expectations while neighbours who decided to go with other agents failed to even get offers. 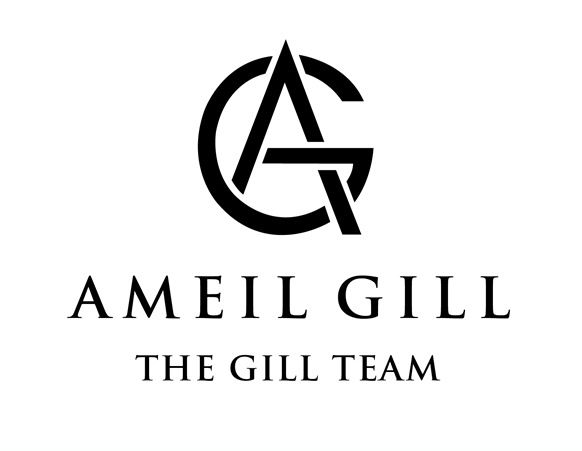 Ameil Gill and The Gill Team break records, they will exceed your expectations and the have the buyers -period! Don't waste your time with agents who can't deliver or make false promises with no track record. Call Ameil Gill -he delivers what he promises and more. Thanks to the whole Gill Team who were an absolute pleasure to work with! We are 200% satisfied with the results!" "Working with Ameil Gill and The Gill team was absolutely amazing! The whole team was super dedicated, friendly and professional. We are grateful for everything they did to get us the perfect home. Other realtors were unable to help us and could not get us what we wanted. With Ameil Gill, Simran Uppal and their amazing team programs they were able to get us the perfect home. Ameil and His team provided us with special exclusive financing options and made home ownership a reality for our family. We got exactly what we wanted and we are living in our dream home thanks to The Gill Team. Call Ameil and his Team as they are the absolute best in the GTA and they deliver what others cannot! Thanks Ameil, Sim and The Gill Team for making our dreams a reality!" "We originally had dealt with another agent who turned out to be our worst nightmare. Misrepresented and taken advantage of by an unethical Realtor had left us in the worst financial situation possible where we almost lost our home. Having nowhere to turn to and no one to help us; a close friend recommended Ameil Gill. She had been helped by Ameil over 13 years ago and since then he had helped many of her friends and family. Ameil turned out to be the best thing that ever happened to us. We first got a call from Ameil within minutes of being referred to him and he actually took the time to call us on a Sunday evening since he had been told our situation was urgent. From the first conversation Ameil gave us the facts about our situation, he told us what our situation realistically could result in, he gave us his lawyers number who gave us free advice, he told us exactly what he believed we should do that very moment and left us with a full plan within a 20 minute conversation. No one had ever spoken with us in that way with such a clear and straightforward and honest approach. Ameil is the real deal, he's straightforward, honest, hardworking ad dedicated to the people that are fortunate enough to work with him. Ameil put us first and told us exactly what he could do and what he could not do, without any false promises! Ameil guaranteed the sale of our home even after our previous agent failed to get us even one offer. Once we signed with Ameil our lives changed. We got 4 offers within days! Ameil's whole team worked on the sale of our home and made it a priority. We felt important and cared for. In the end Ameil refused to let us accept an offer that was exactly what we wanted and he fought to get us more money and he succeeded! We are for every grateful to Ameil and his dedicated staff who assisted him in getting us the best results possible and setting us back on the right track. Call Ameil first it will make a world of difference when you have the best possible realtor working for you! Thanks again for all you did and personally going above and beyond what you needed to!" "Ameil is the best! I have dealt with Ameil several times in the last 7 years. He was referred to me by a close friend. Ameil is dedicated, hardworking and he delivers results and keeps his promises! His Team also is very helpful and knowledgeable. Ameil and his Team sold my home for $75 000 over asking in less than a week- now thats awesome!!! Ameil also Guaranteed the sale of our home! I want to thank Ameil and his honesty, professionalism and hard work. Ameil has a true passion for what he does and has treated me and my family amazing during the whole process. His Guarantees are 100% real and they work! If you need anything related to Real Estate or mortgages Call Ameil! You can trust him and he's nothing like other realtors (who talk more and under deliver).Thanks to Ameil and The Gill Team who changed the financial future of myself and my family!" "Buying a home was a huge decision. It was one of the biggest investments we would make in our lives, so we knew we needed the best representatives to help us. This is why we chose Ameil Gill and The award winning Gill Team. This team is founded by Ameil Gill, who was born and raised in Missisauga and started his Real Estate business as an investor in this area. Thats why Ameil Gill and The Gill team are true area experts and have intimate knowledge of the Gta and Real Estate investing. Ameil and his team have been the top 1% of all realtors for over 14 years and have won numerous awards and designations. However the most important thing is they are driven by a true passion to help and represent there clients to there best ability. Ameil and his amazing team are true negotiators and saved us $31,000 off the purchase of our home even though we were willing to pay more. Thanks to Ameil Gill, Daniel Forte and there dedicated team of professionals for getting us the best home for the best price and exceeding our expectation." 4 Big Reasons To Call Ameil To Sell Your Home!